← PHOTO OF THE WEEK – WHAT UNITS US? 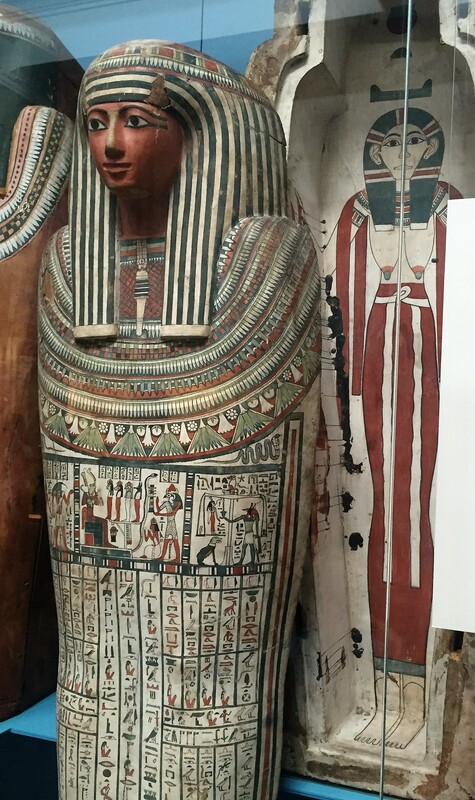 PHARAOHS – MUMMIFIED FOR THE AFTERLIFE. 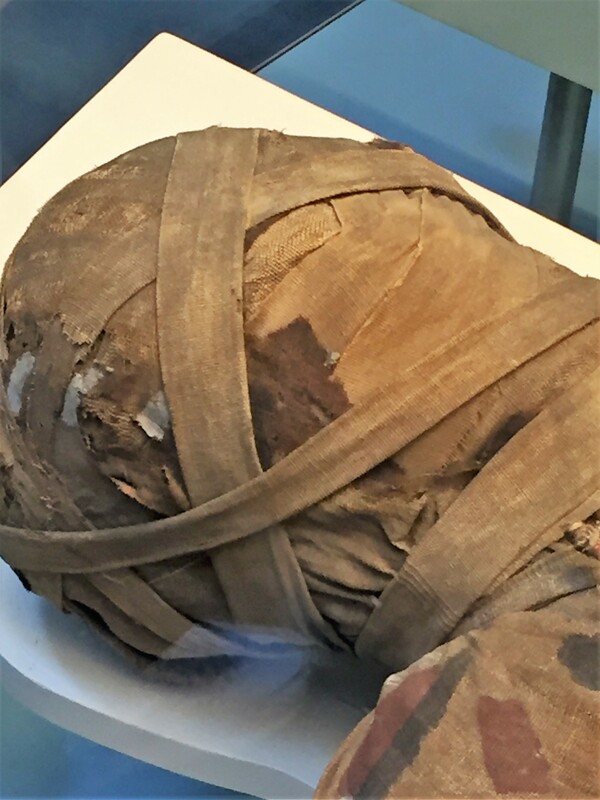 It is well known and well documented that the Ancient Egyptians mummified their pharaohs in preparation for the afterlife. The process, including 40 days of soaking the body in natron, could take up to 70 days before it was ready to be wrapped with thin strips of linen, the last step before being placed in an elaborate coffin. 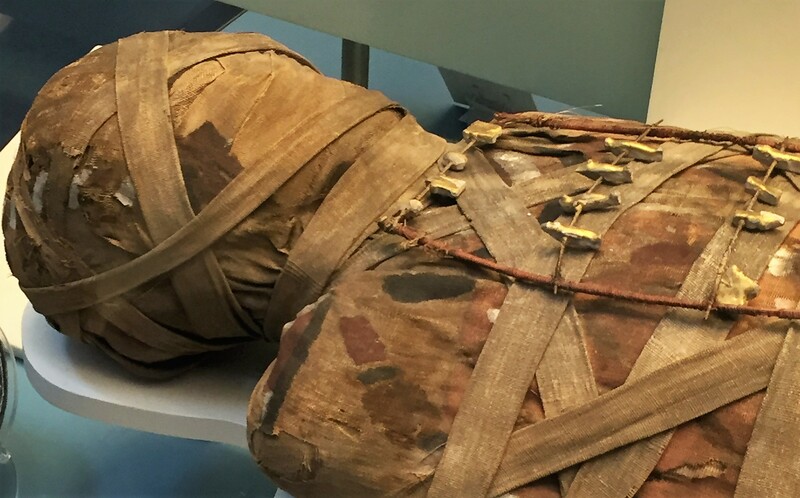 In many museums, as in the Mammy Room in the Egyptian Museum in Cairo, the shrunken and dark bodies of dead pharaohs are devoid of any clothing or wrappings. 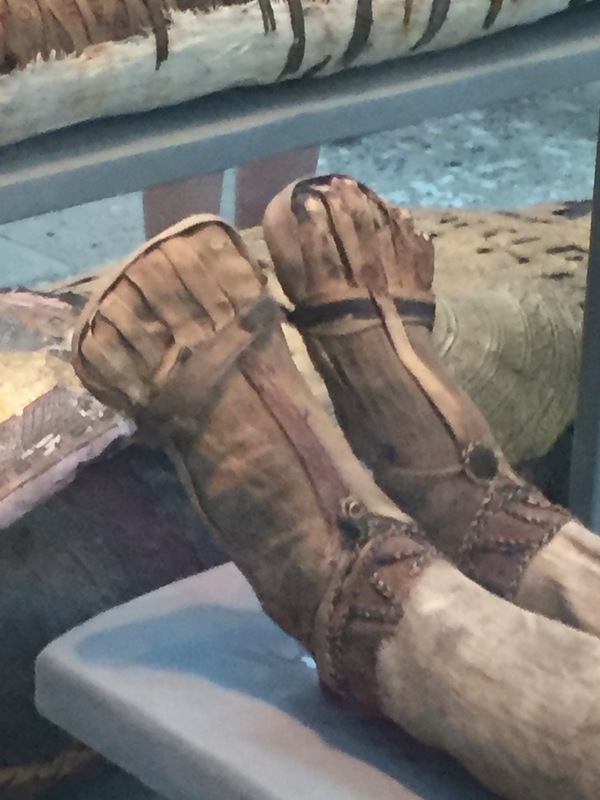 A cloth covers them partly because, as one guide told us, many people were uncomfortable seeing the naked, dried-up, often twisted forms of what once was a human being. 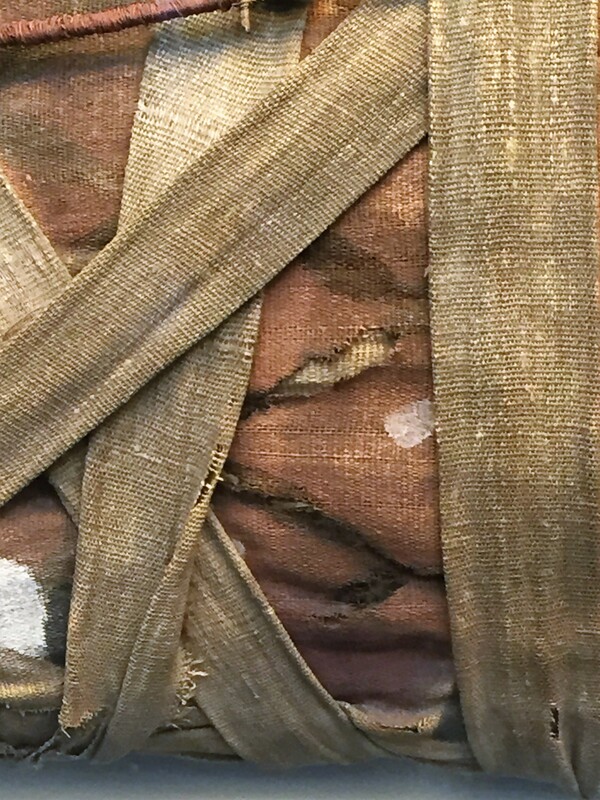 But in the British Museum, which has a beautiful and large collection of Egyptian artifacts, (if you love Egypt don’t miss it when you go to London) there are mummies still wrapped in narrow linen strips. These photos I took on my last visit will show how artfully it was done, and one can marble at how well-preserved they are after thousand of years. The tree resin or sap they used to hold the strips stay in place certainly helped. One can’t help but to be reminded of bandages and rightly so, because that what they are! 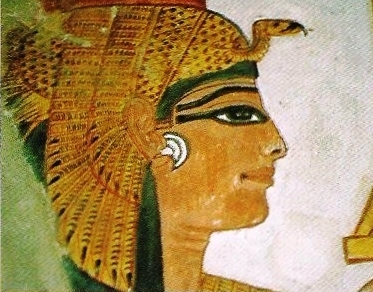 This entry was posted in Egypt, Pharaohs, Travel and tagged Afterlife, Amulets, Mummies, Pharaoh. Bookmark the permalink. 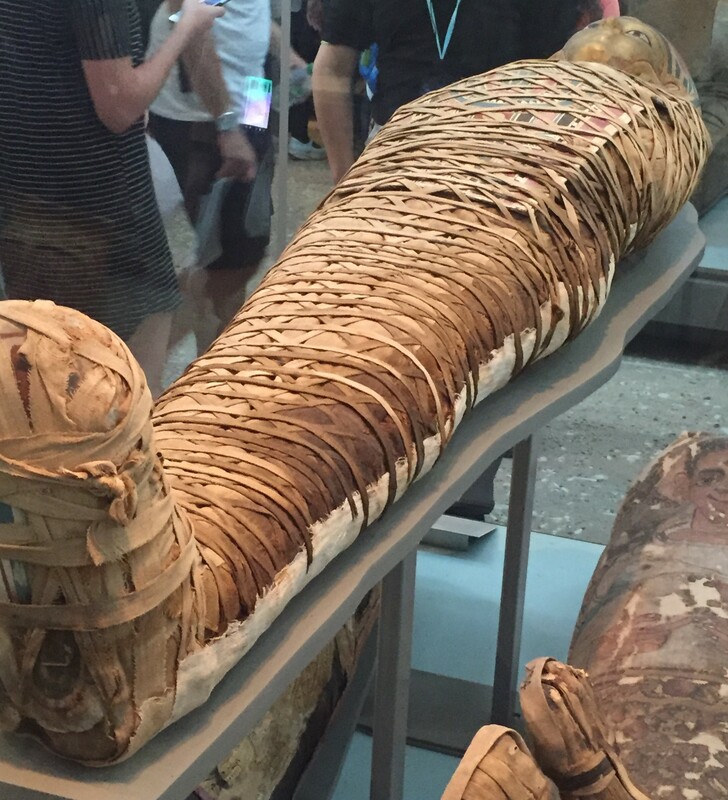 4 Responses to PHARAOHS – MUMMIFIED FOR THE AFTERLIFE. Always interesting. I know I would not want to,see the naked bodies. I see your page is in the same niche like my page. Do you allow guest posts?